Are you searching Primary Assistant Teacher Circular 2019? 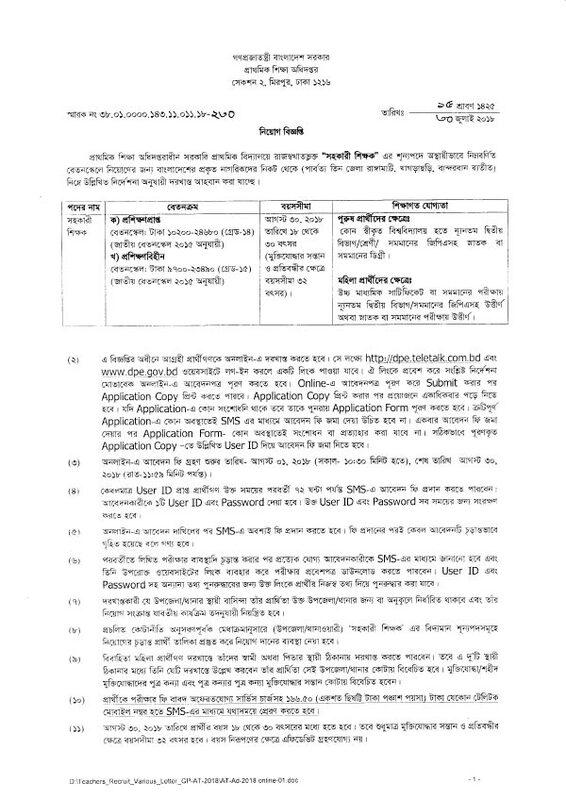 Primary Education Ministry has published Government Primary school Job circular 2019 on their website www.dpe.gov.bd or dpe.teletalk.com.bd. The name of the vacant is “Primary Assistant Teacher“. 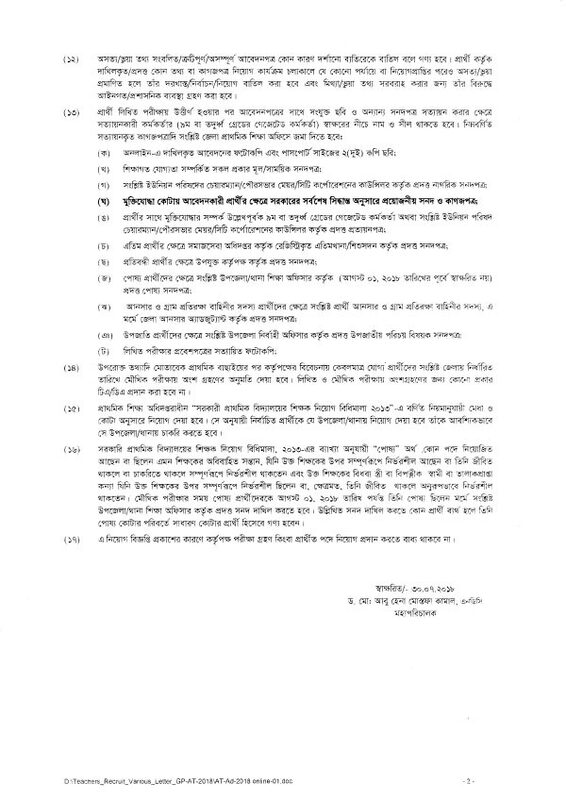 In this Job circular post, We share an article about primary school assistant teacher job circular 2019. Directorate of Primary Education Board published Job notice various newspaper and their Website. According to Primary job circular 2018, HSC pass Woman and Honours/Masters pass Male candidate can apply for Primary Assistant Teacher Job circular. See more information about Govt Primary School Jobs 2018. Download Primary Assistant Teacher Circular 2018. We have share two format file(JPEG and PDF). You can download Primary school assistant teacher jobs Notice. All 64 districts students can apply for Primary Assistant Teachers Jobs Post. If you are interested in Primary School Jobs, then You can apply for this post. Primary Assistant Teachers Job application process is very easy. After successfully completing Primary Jobs Circular save username and password. To download Primary school Jobs Admit card, you need to username and password.